Modern kitchen ideas 2017: Kitchen design ideas for today’s house is one of the most important area or a space of your home. Because we all know that a health is well connected with your kitchen space. 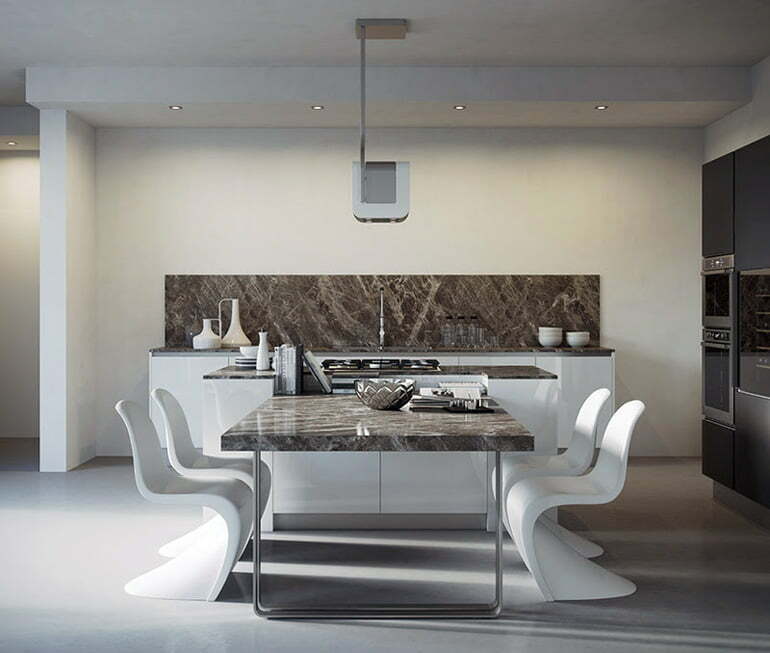 In modern home, what kind of kitchen suit is always curious case of interior design. And modern kitchen ideas on a budget. Here, we see some modern kitchen ideas images, that will suit your contemporary house and fulfill your basic needs. And create a style statement of your lifestyle. Modern kitchen accessories ideas are give some hint about, how to start kitchen design? Or Selection of kitchen appliances. How design multi-functional spaces in kitchen area? How to blend your interior design, which not look shabby and messed? So, let’s go through some random but, selective kitchen designs for you. 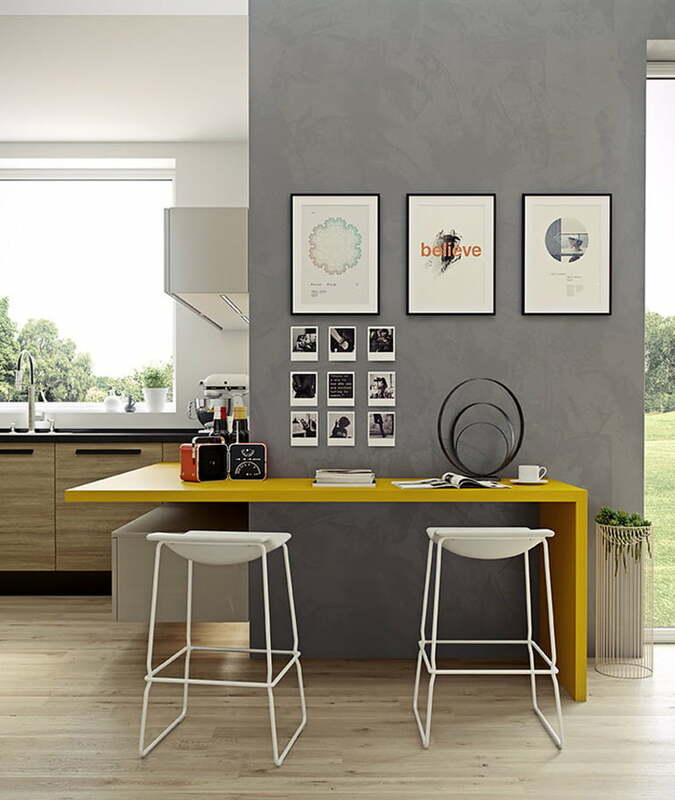 These modern kitchen ideas are defined in three basic functionality. Multipurpose Use Of Kitchen Furniture. How to Mix different space with kitchen. How to make trendy Interior design statement. Modern kitchen ideas for apartments. 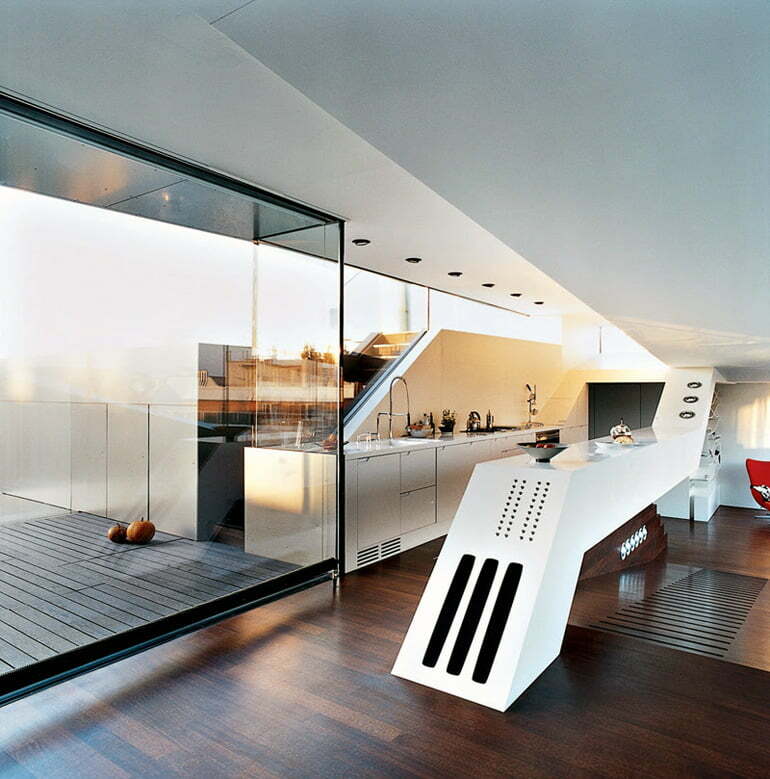 Above presented example of kitchen design idea have a interesting and noticeable point as bellow. Kitchen design is in fully modern and with full of functional. Kitchen space integrating with your living or reading space. You can enjoy the coffee with morning newspaper or your favorite magazine. Bar style chair, with high level desk give a elegant and more spacious. Color pattern combine kitchen and reading desk properly. Decorative wall with paintings, on contrast back ground give excellent feel of the space. Color scheme is modern in term and suit with their furniture selection. 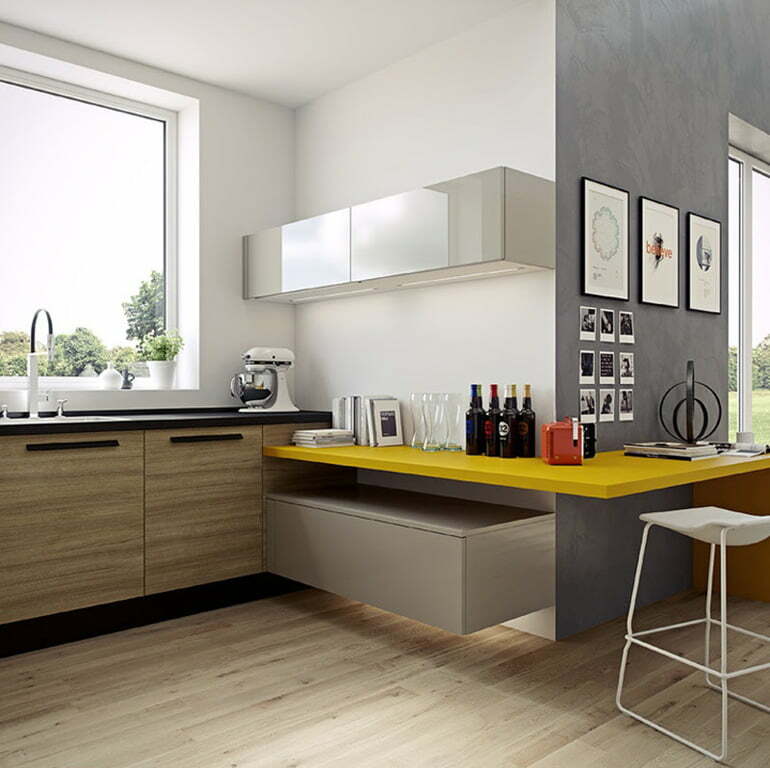 Modern kitchen ideas for small spaces with dynamic interior design. Serving platform coming from the ceiling and merge with floor. 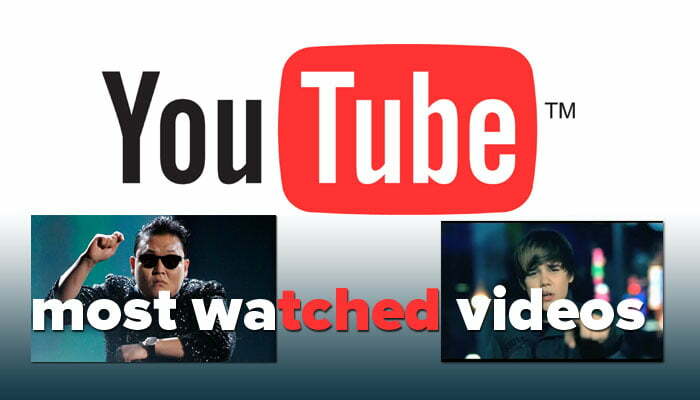 Dynamics of this platform have their design language. This type of interior design create statement in their own. Dark flooring provide good back drop of entire kitchen furniture. Dark wood flooring with some grooves in it, create visual appeal. Lighting between the two platform, give those space some light feel, with heavy furniture. Modern kitchen ideas with island. I love this modern kitchen design ideas, for their monochromatic composition, as well as arrangement of kitchen furniture. Entire space create some poetic scenario. 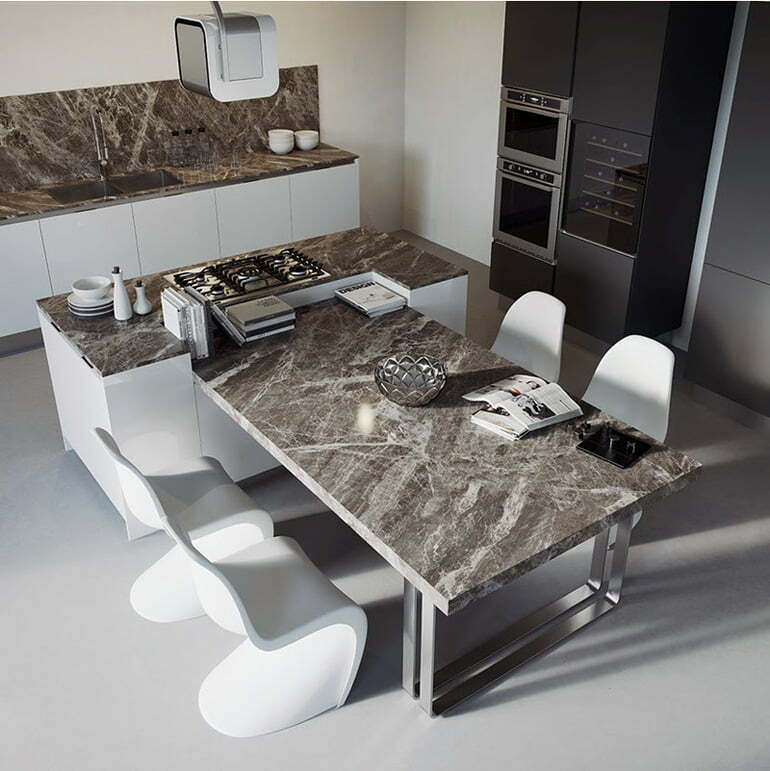 Because of white color furniture with a textured brown stone platform and dining table top cover. Cooking platform design such a way to provide back drop of dining table. A niche for some daily reading books, just besides of you. When you enjoying your last dinner of the day or morning coffee. Modern designer pendant light, just above the dining table, add their own presence. Service platform, and kitchen wall tiles; used same material finishes, add defined space in this modern kitchen ideas. Reasons To Be Popular Geometric Patterns In Interior Design. Luxurious Modern Homes Interior Designs And Decor Ideas. Have you like these modern kitchen design ideas, just share with your group. And also, have a threads on this ideas about; How to decor your kitchen space unique, share with us. Easy kitchen update ideas photos and DIY on a budget.